Bread is one of those things that I don't think I could live without. Hot from the oven, slathered with a touch of butter or maybe topped with sweet orange blossom honey. Crusty breads spread with thick slices of brie cheese, or maybe dipped into a fresh bowl of garlic herbed olive oil. Ahhh... pure carbs and absolute love on my part. I seem to have passed on these carb loving genes to the kids as it took me 3 loaves to get photos of our most recent Oatmeal Bread. The first loaf finished late at night, not optimum for photo taking. Not a problem though... I popped another loaf in the bread machine two days later and knew the lighting would be just perfect when I got home from school pick up. Imagine my surprise as I walked into the house just a few minutes behind the kids to find them both smiling in pleasure and munching on the still warm slices. The third time had to be the charm... and it was! With the kids standing behind me orchestrating my every move and the food design we got our shot. Several to be exact. With the kids having such a good time helping, this was the most fun I've had shooting any of the foods that we have made. They arranged the slices, sprinkled oatmeal and adjusted the shutter for that perfect shot. Much as I hate to admit it, I believe the shutter for this shot was actually released by my son, not me. Even more amusing was the total destruction of our "set" the second I proclaimed we had our shot. I'm still cleaning oatmeal off of the floor! With three loaves gone in just over a week, I'm thinking I don't need to tell anyone how good this bread is. Frankly, I preferred it fresh out of the oven or toasted. Soft and melt in your mouth on day one, it seemed to lose it's freshness fairly quickly. 48 hours later it was a bit dried out, only really good for toast (and really good toast it is!!). However, we haven't really had to worry about any of those issues as ours doesn't seem to last for more than 24 hours! Pour very hot water into bread pan and add oats. Let stand ½ hour. Add remaining ingredients to the bread pan according to your manufacturers instructions (if liquids are to go in last, mix oatmeal and water in a different bowl). Run on basic setting, remove when done. Note: If desired, as the last rise begins you may brush the top of the loaf with milk sprinkle with a tablespoon or two of oats! they did an excellent job styling the bread for you! Great photos as usual! I love to bake bread as well, may have to try this one! I don't have a bread machine, so it will be a weekend project so the husband can watch the kiddos! Looks like I put off baking bread any longer! Yours is doing a great job of tempting me to start. Sommer, Thanks! They really got into this one. Let me know how it turns out. Glad your husband is home! Beautiful photos! I am sure its delicious. I wish I had a bread maker! I will have to try it an the dutch oven. Thanks for the post! Can't leave without bread either! I meant to make oatmeal bread soon. I don't have a bread machine. Do you think that by hand it could come out still good? Molly, thank! I will relay the compliment to my "team'! Sara, I frequently do bread without the machine. Stand mixer to mix, bowl to raise, and pan to cook! Will work wonderfully! I killed my last bread maker and haven't replaced it. Maybe I should...this looks so good. My husband LOVES oatmeal in any form!! Looks GREAT! I too love bread - not sure who doesn't. With the addition of the oatmeal - that is a winner. Congrats on your Top 9!! I had to smile at the thought of having to make 3 loaves of bread just to get a good picture....only because things like that have happened to me. Your bread looks so soft and chewy. 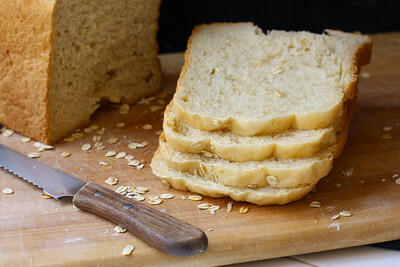 I love oatmeal bread! So I know what I'm making tomorrow! This looks delicious and you had me sold as soon as you started to describe it. I agree...I could never go without bread! Such a scrumptious bread, must have been a lot of fun baking with the kids! Note to self: don't look at Kim's blog before you've eaten breakfast! I'm sooooo hungry now! Beautiful photos and the bread is to die for! Is there a way to make this tasty looking bread without a break maker? This may be perfect for my family because we absolutely LOVE bread, especially homemade. Bread hardly ever goes to waste but this one would get to the second or third day stage and could be used for stuffing or even bread pudding! Thank you for sharing this. 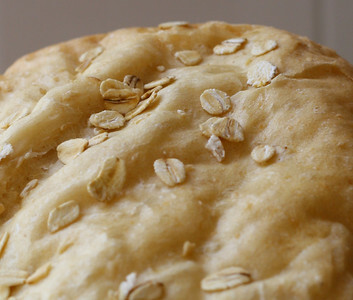 Oh, I am so much making this bread tomorrow. There is NOTHING like a good loaf of bread coming out of the oven. Thank you for sharing the recipe and for being patient for those gorgeous photos! hmm. 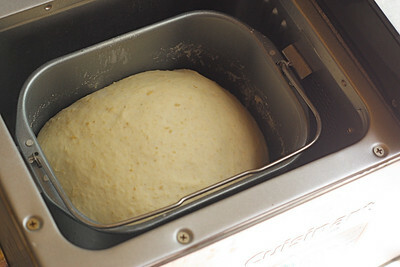 when i use the bread make, i use it only to make dough and then bake it in the oven. what machine are you using? i've never been happy with how my breads have baked in the machine. I have a feeling that I would just adore this bread! Anything with oatmeal, I am basically in love with haha...thanks so much for sharing!